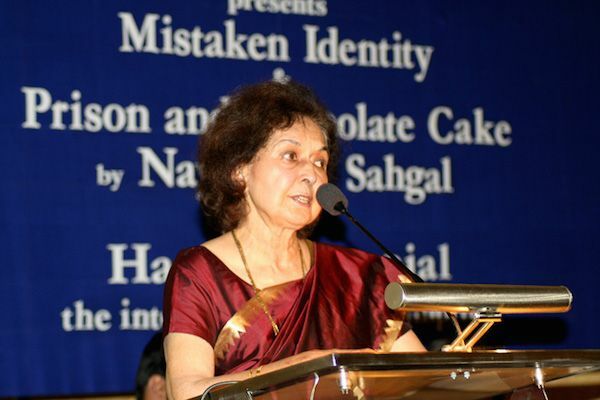 One of the first writers to return her Sahitya Akademi award, Nayantara Sahgal, has taken back her award after being informed that there is no provision to return the prestigious award. According to reports, Sahgal was sent a letter by the Akademi explaining that the award was being sent back as it was against their policy to accept returned awards. In October 2015, Sahgal had returned the prestigious Sahitya Akademi Award in protest of the "vanishing space" for diversity. Sahgal, who is the niece of former Prime Minister Jawaharlal Nehru, had also returned the Rs 1 lakh cheque she received from the Akademi. On recieving the cheque, she was quoted by Hindustan Times as saying, "I will use the money for a worthwhile cause and welfare schemes." Rajasthani writer Nand Bhardwaj has also reportedly taken his award back. Bharadwaj had sent back the prize money of Rs 50,000 as a mark of protest against the killing of rationalists - including MM Kalburgi - and the Dadri beef lynching incident of September 2015. Bhardwaj contended that he was satisfied by the Akademi's response to the whole movement. Following the death of rationalists like MM Kalburgi and Govind Pansare and the Dadri beef lynching incident, almost 40 writers had returned their Sahitya Akademi awards - on account of "increasing intolerance in the country", "shirking space for dissent" "attack on freedom of speech". In a domino effect, a number of researchers, historians and artists also returned their awards and honours. The movement came to be known as Award Wapsi. At the peak of the movement, the BJP had rejected it as "manufactured dissent". But during a Winter Session debate on 'intolerance in India', Home Minister Rajnath Singh had requested that the writers take back their awards.